Mission: To be entrepreneurial and generate non-dues revenue for the Capital Medical Society. 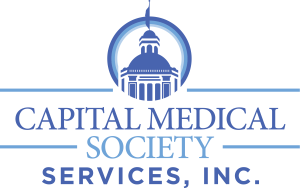 In 1981, the Capital Medical Services Corporation was formed to handle the business projects of the members of the Capital Medical Society. Currently, the Services Corporation offers a discounted pager service. Additionally, the CMS Services Corp. sells advertising and produces the monthly Cap Scan newsletter for Society members. For more information on advertising, click here. New discounted services are constantly in review. CMS Services, Inc. offers member discounted pager services through Spok. If you are interested in pager services, call CMS at (850) 877-9018.